Bayer is one of those dogs that is, well, brilliant physically. He’s a pretty-boy, jock. Not the most intelligent creature. He is 13 years old and is retired from Freestyle, aside from a few demos here and there. Bayer’s had an incredible disc career. Without taking the time to count he’s probably a 20+ time world finalist. 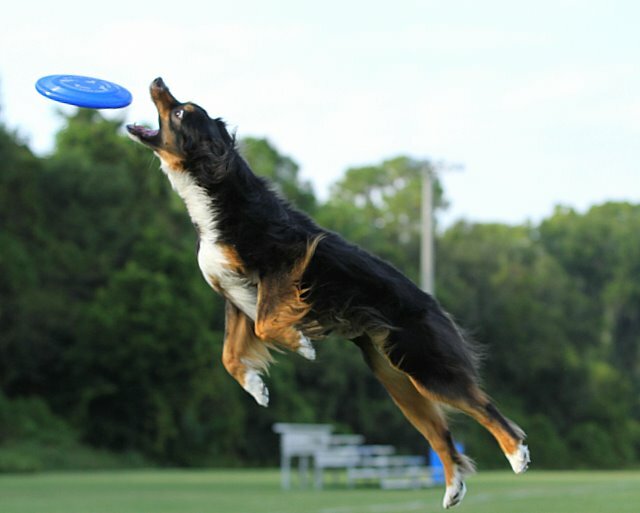 He’s the 2009 Purina IDC Flying Disc National Champion and the 2010 UFO Freestyle All Star World Champion. He also holds the 2nd longest catch in The Quadruped at 104.6 yards.